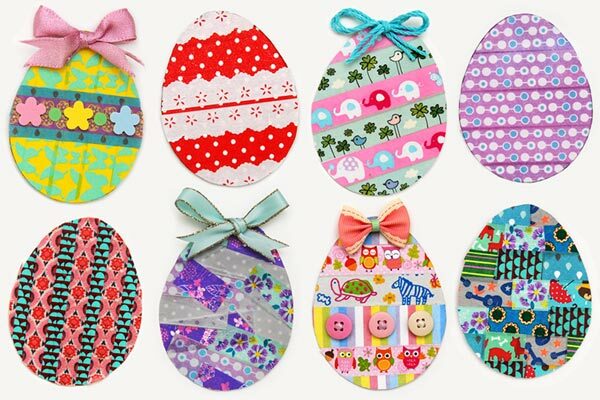 Create colorful Easter eggs using crepe paper. We will show two methods and both are easy-peasy! 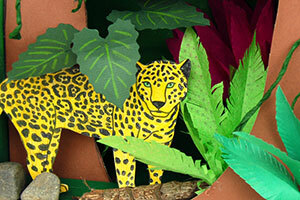 The first method involves covering the entire surface of the egg with pieces of wet crepe paper or tissue paper. 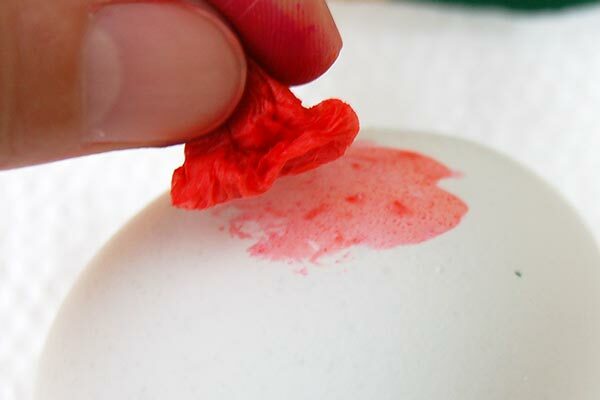 You can use either hard-boiled eggs or empty intact eggshells. 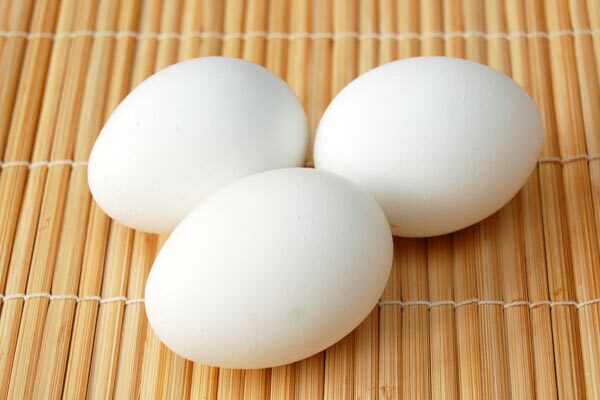 Hard-boiled eggs - let the boiled eggs cool to room temperature. 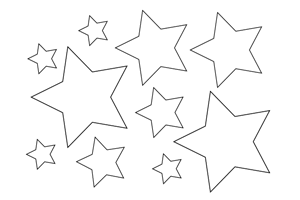 Empty intact eggshells - follow our instructions for blowing out eggs. 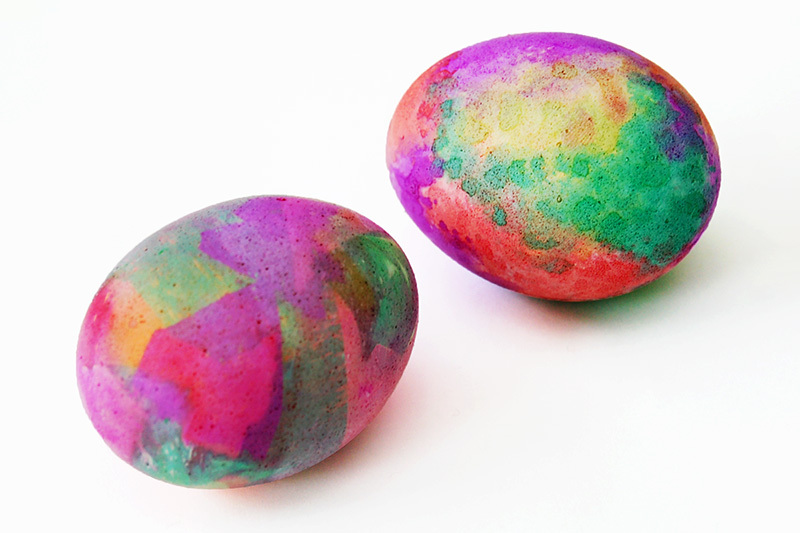 Make sure the empty eggshells are clean and dry. 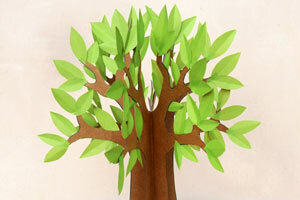 2Cut crepe paper into pieces. 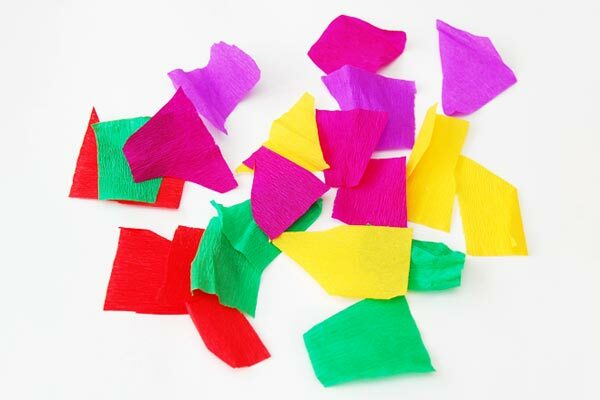 Cut or tear different colors of bleeding-type crepe paper or tissue paper into small pieces. 3Wet a piece of crepe paper. 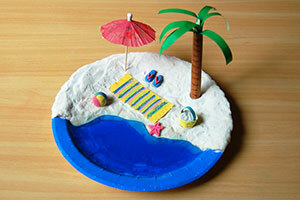 Wet a piece of crepe paper and shake off the excess water. 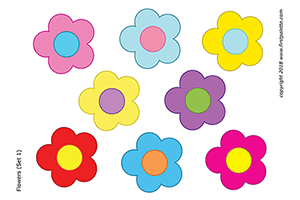 You will notice that bleeding-type crepe paper or tissue will bleed out color onto the water and stain your fingers as well. 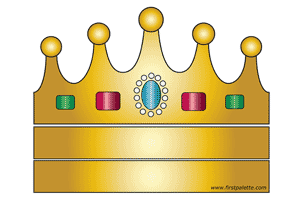 4Place it on the egg. 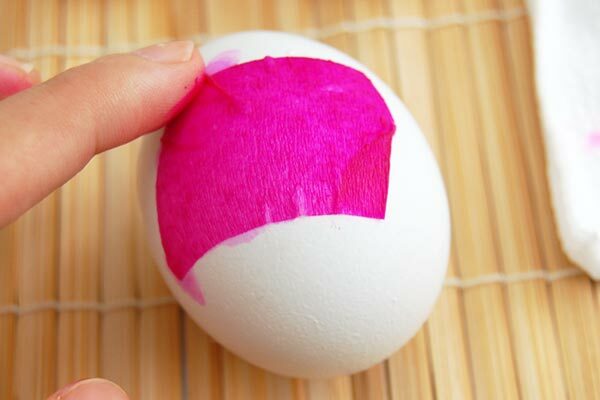 Lay the wet piece of crepe paper on the surface of the egg. 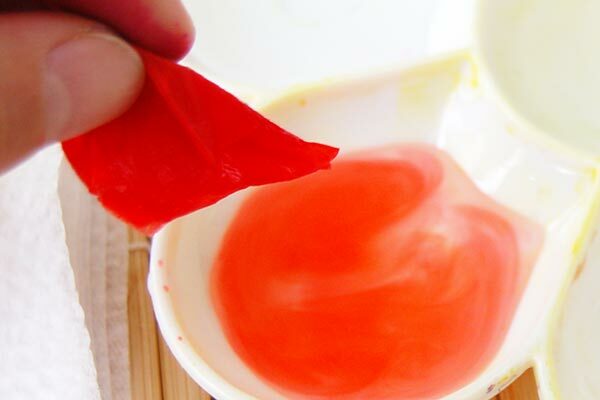 Smoothen the edges with your finger. Wet a different color of crepe paper. 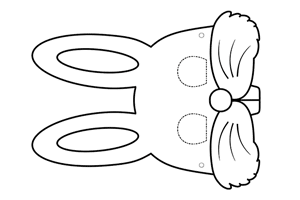 Place it on the egg, slightly overlapping with the first piece. 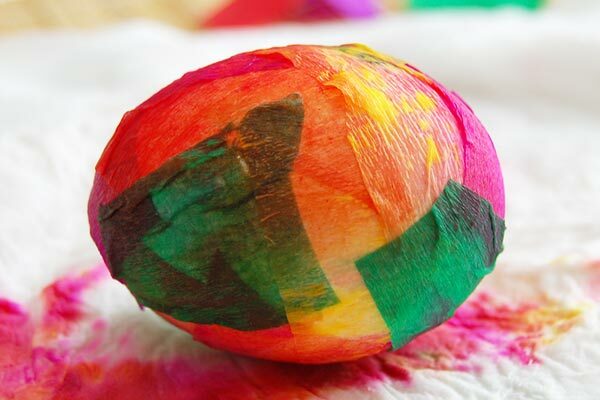 Continue adding crepe paper pieces until you have covered the entire egg. 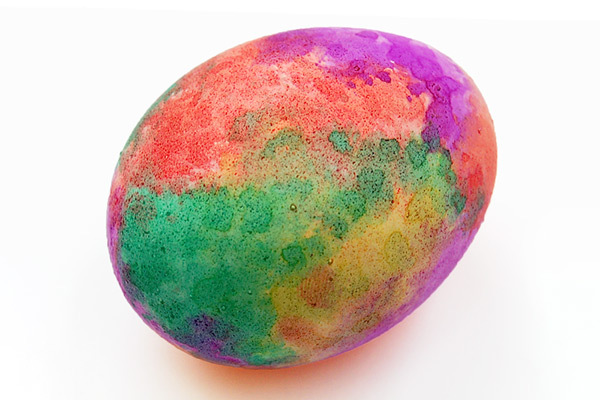 Allow the egg to sit for at least 30 minutes to soak in the colors. 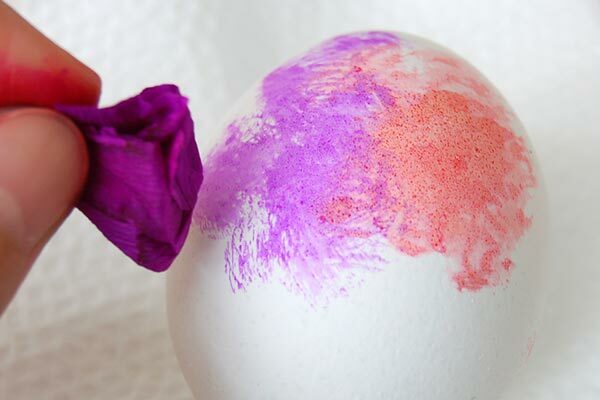 Peel off the crepe paper pieces to reveal a colorful egg! 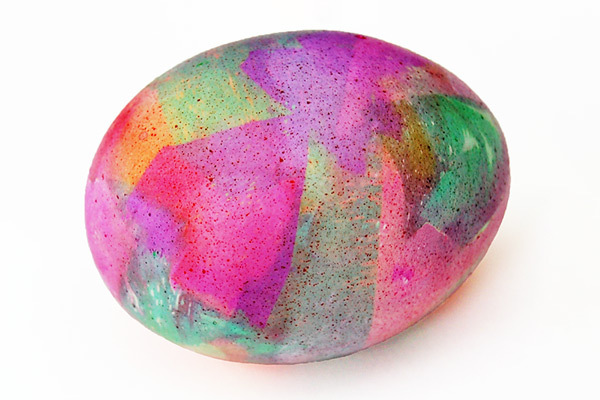 In the second method, the eggs are colored by dabbing wet pieces of crepe paper onto the surface of the egg. 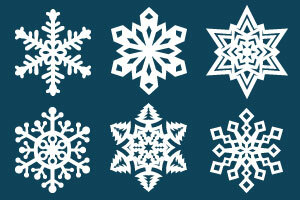 As with the first method, either hard boiled eggs or blown-out eggs can be used. 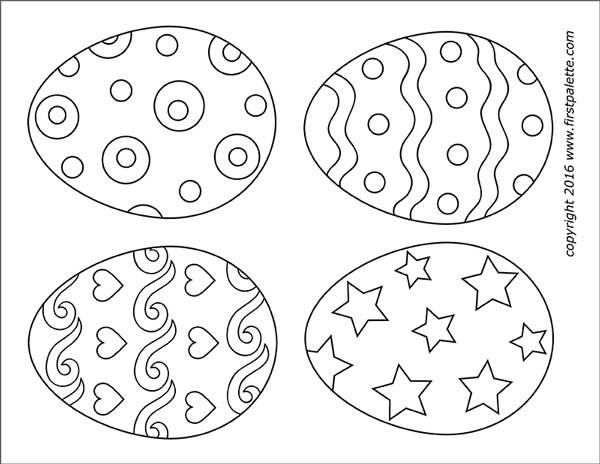 Pat the eggs dry to remove any moisture on the surface. 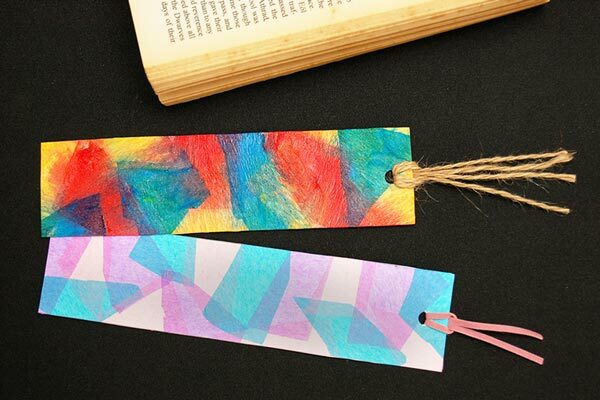 2Cut crepe paper into strips. 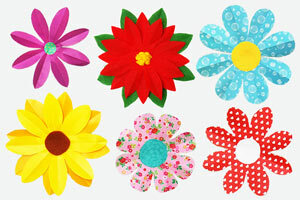 Cut or tear different colors of bleeding-type crepe paper or tissue paper into short strips. 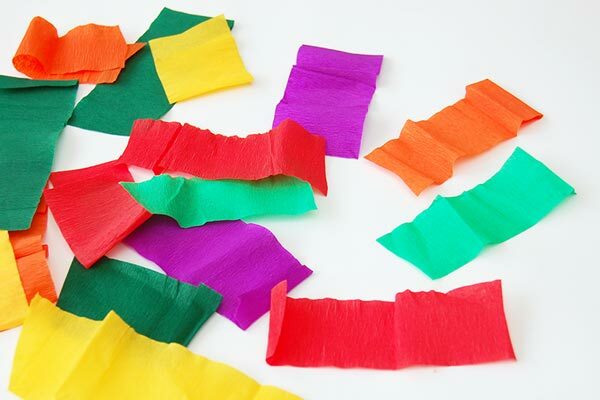 3Wet a crepe paper strip. 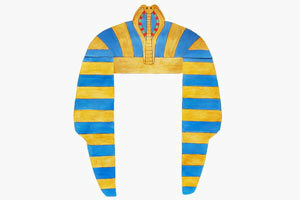 Take one strip of crepe paper, slightly crumple it and wet it. 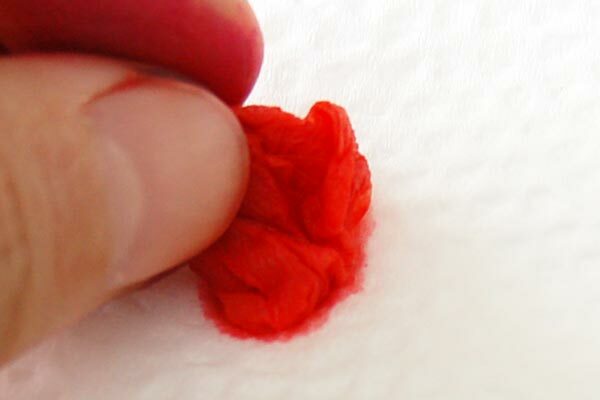 Bleeding-type crepe paper or tissue will bleed out color onto the water and stain your fingers as well. 4Blot onto a paper towel. 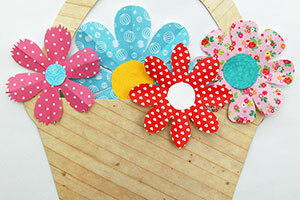 Remove any excess water by blotting the wet crepe paper onto a paper towel. 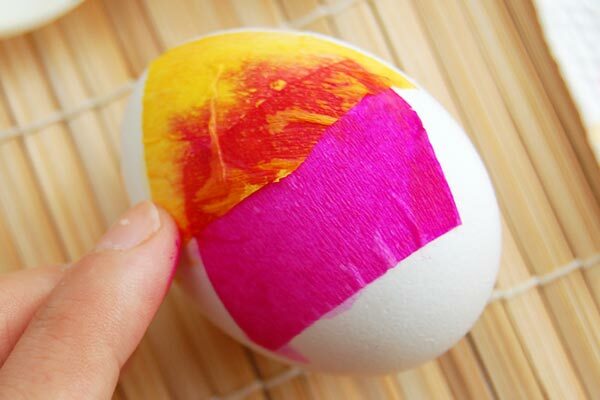 Dab the wet crepe paper onto the egg. 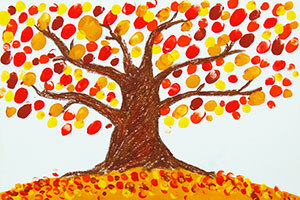 Color will be transferred from the crepe paper to the eggshell. 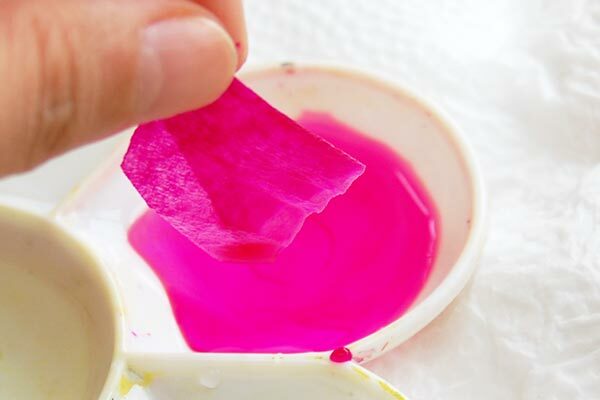 Dab a second color of crepe paper following Steps 3 to 5. 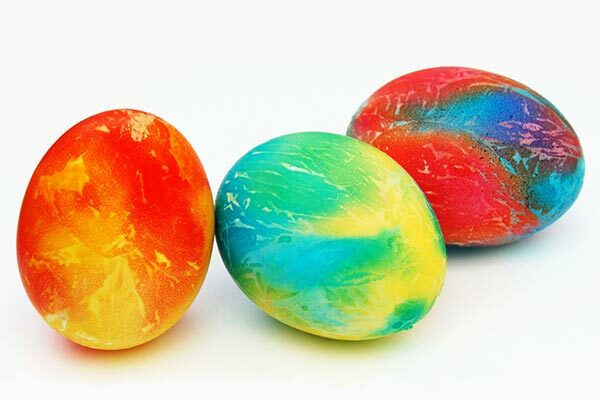 Continue dabbing different colors of wet crepe paper until you have colored the entire egg.